Our goal is to raise $25,000 which will help the search for Stacy Peterson continue. We have a long list of experts willing to help us, however paying for their travel expenses can become overwhelming. We also need cadaver dogs and ground penetrating radars to be able to search effectively. We want to give Stacy the best chance of being found. If we find Stacy it will also help the police bring her killer to justice. We know that Stacy would not just disappear leaving her children behind. Her children and family were her priority. The need to find her body is more important now than it ever has been. If you have any of the resources needed to find Stacy and are willing to help please contact us. The outreach that this case has caused is phenomenal. We want to thank all of our contributors, well wishers and volunteers for the continued support. 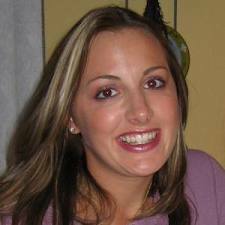 Stacy Peterson was last seen on October 28, 2007. She was a wife, mother, sister, daughter and friend to many. Stacy was the nicest person you will ever meet. She was always willing to help those in need and loved to cook for everyone. She was nurturing to her children and always put them first. They were her life and she would not leave them voluntarily. Stacy was a student at Joliet Community College. She was studying nursing because she loved to take care of people. Stacy was 23 years old when she went missing. Stacy was supposed to help paint a friend's house to on October 28, 2007 and did not show up. Her family reported her missing shortly after that.